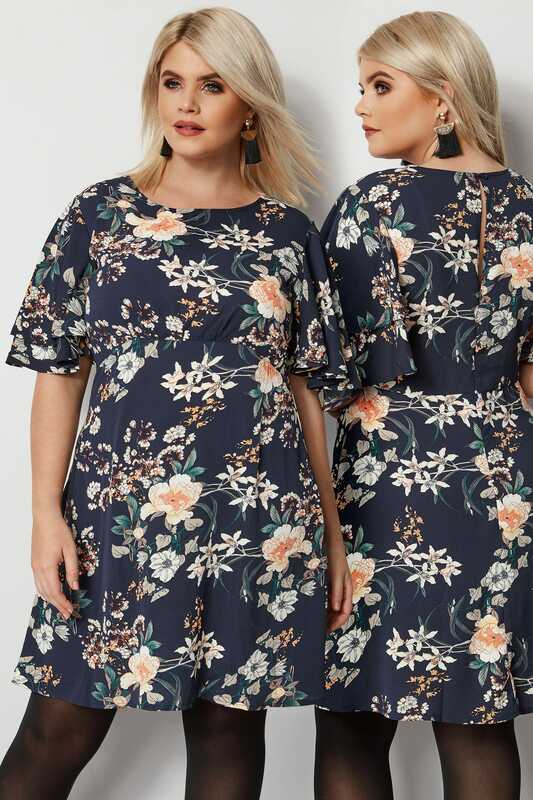 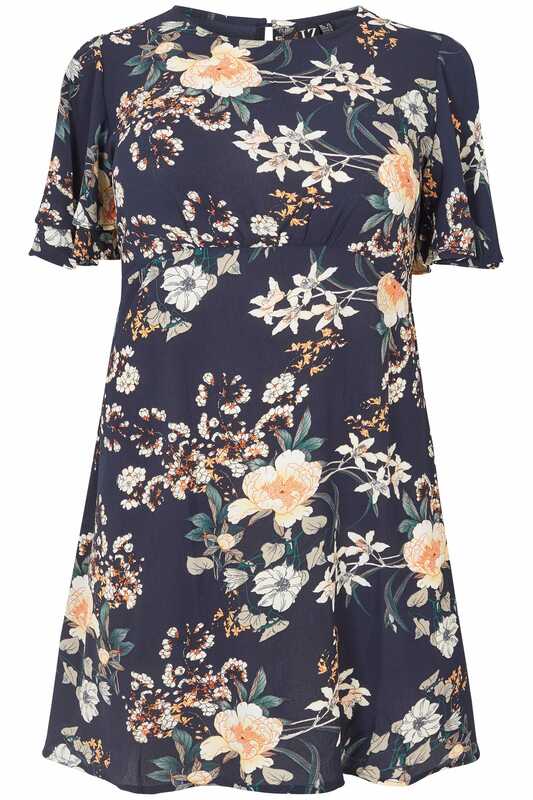 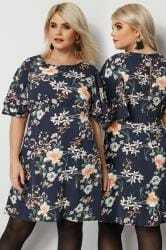 Add dark florals to your new-season wardrobe with this tea dress from Izabel Curve. 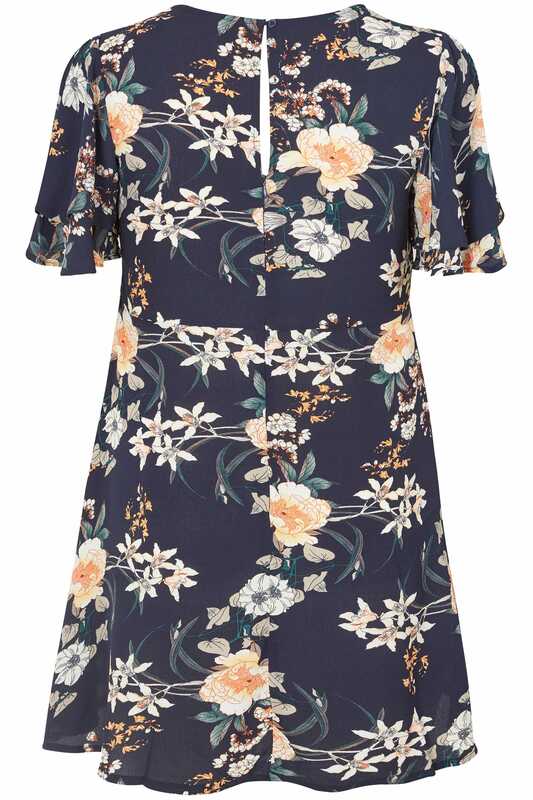 Complete with feminine frills, it's nailing that sweet and sophisticated combo. 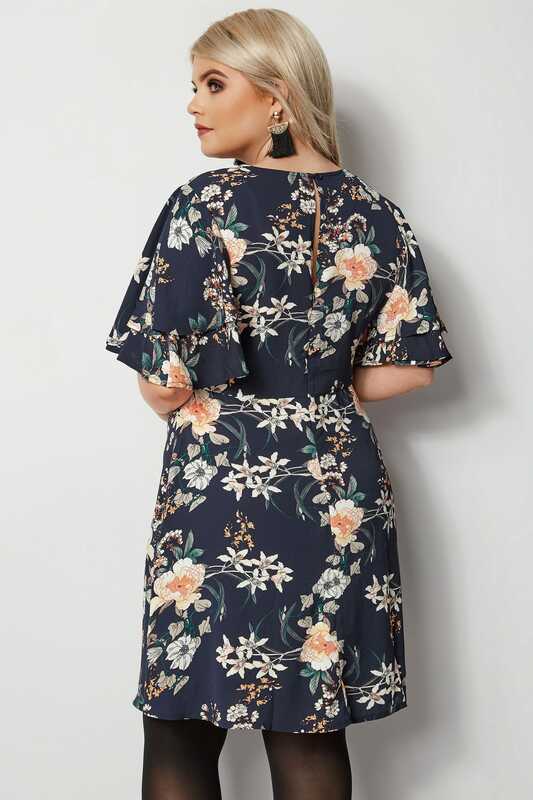 Toughen it up with a leather jacket, or add heels for an on-trend evening look. 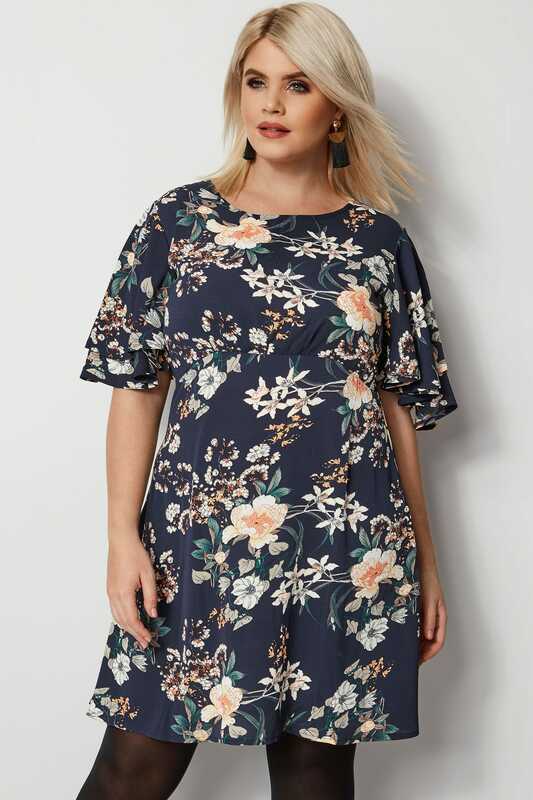 Pretty and printed, this dress will never go out of style.